Because twins are getting more and more common, so are twin baby showers, and having twins means even more opportunity for fun, individual and classy themes and games, so count yourself lucky! 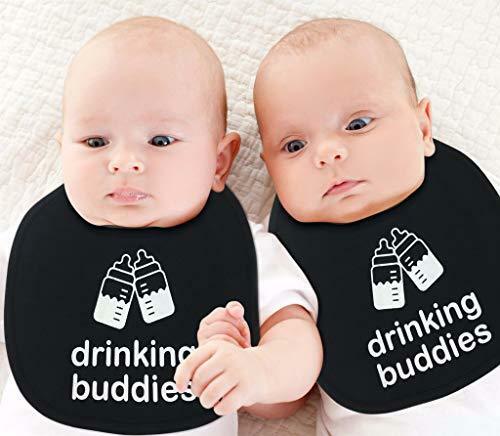 Even though twins aren't the rarity they once were, a lot of your friends still won't have gone to a twin shower, so this is your chance to make it as memorable and special as possible. It's incredibly easy to make your baby shower different from all of your friends and families. 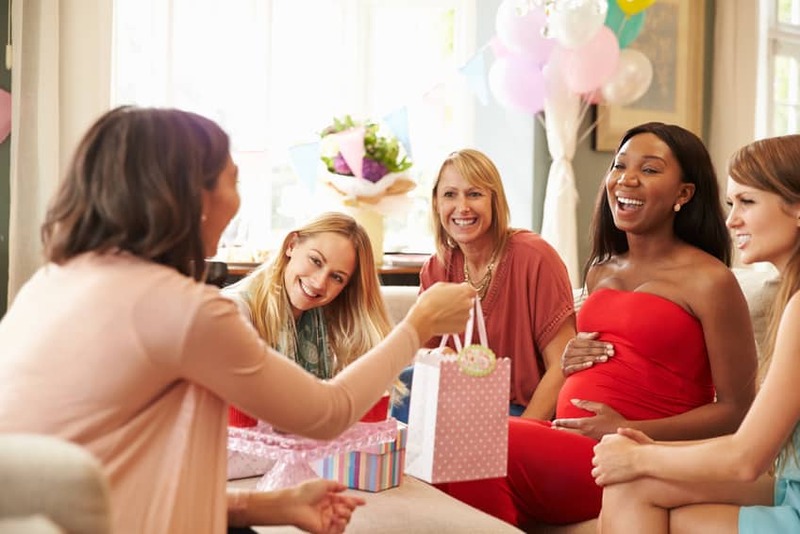 With a little bit of advance planning, you can have the most memorable, impressive baby shower any of your friends have ever seen! Here are some of our favorite themes and baby shower games for twins. There's so many options for twin baby shower themes. It's possible to spend hours planning yours and making sure that everything's absolutely perfect. Here's our top 5 picks for baby shower themes. This is a really popular theme that's just so adorable that we had to recommend it. It's not just good for twins, either. If you're having more than two (lucky you!) then you can stretch this to three, four, or however many you need! It's easy to find green décor, and you can also do things like little jars filled with only green jelly beans, have peas as vase fillers, serve pea inspired dishes. Even better, because it's a neutral theme, you can use this for twin boys, t﻿﻿win girls or one of each! You've probably seen this Dr Seuss inspired theme before. It's absolutely classic, but that doesn't mean you can't put your own spin on it. It's a great looking theme, with really bold colors that look really good laid out, and you've probably already got some things that go with it. Go with blues, reds, whites and black, with really bold prints or patterns. You can even extend the theme to a full Dr Seuss menu. Candy canes everywhere. Green eggs and ham (food dye!) blue cotton candy and specially frosted cakes. This is a really unique one that I found online and haven't been able to get out of my head since. All of the decorations look so classy and individual, and it's really easy to set it all up and find interesting decorations. It's a card theme, so go with as many playing card decorations that you can get away with. You can fit cards everywhere, so feel free to roll them up inside napkins, stick them to cups, string them up over doors, etc. You can also put a card theme into games. Maybe hide cards all around the room and whoever finds the queen of hearts wins a prize! You can easily find cakes and professional decorations for this theme as well. When you're setting up, think Queen of Hearts from Alice in Wonderland. Plus, it's really simple to switch this out if you're lucky enough to be having triplets, or even more! Why not add a touch of class to your twin shower? Baby showers can sometimes feel like a tea party anyway. So why not just go the whole way? It's simple to set up doilies, cups and saucers. You can have scones and whipped crème, even ask everyone to turn up dressed like 'proper ladies,' with hats and full dresses. However you decide to use this theme, it will make for a really nice, relaxing day that everyone is sure to remember. This is a beautiful theme that, with a little bit of thought, can look amazing and be really unique and distinctive. Think almost Easter style. Delicate yellows, blues and pinks (depending on what you're having.) Have bird decorations, and a nest or birdbox themed cake. Eggs everywhere, with birds nest style cupcakes that everyone will love. I've even seen tiny little birdcages that are perfect to fill for favors! When you know what theme you're going for, and you've planned all your decorations and sent out beautiful invitations, it's time to plan the entertainment. It's best to keep games simple and easy to pick up. No one wants to spend twenty minutes learning the rules, and everyone concentrating will slow your event right down and stop all the giggles and laughter. Grab a bunch of prizes, too. Don't go crazy, people love silly prizes, and having twins means you can buy a load of 'twin' items. Imagine everyone's faces when the grand prize is a pair of joke socks! Here's a few of our favorite baby shower games! If you want to get everyone cheering and laughing, this game is great. Grab two or more dolls and a bunch of diapers, and everyone has to race to get the diapers on the dolls as fast as possible. The twist: You can only use one hand. The other has to be behind your back. It makes it so much more difficult and it's sure to lead to really fun times. Variation: If you're really out there, and you know you've got the right group of friends, add a little bit of melted chocolate into the mix. A classic, and one that's really easy to set up. If you don't want to make it yourself, there's loads of resources online where you can easily buy or print out your own. Either way, this is just like bingo, but with twin themed words! Guests have to get five in a row, and you can even make it twin themed by making people shout TWINGO when they win! This game is really simple, but so deceptive! The rules are really easy to remember. Just don't say the word twin! This sounds so simple, but remember, this is a twin baby shower! When everyone comes into your baby shower, give them a safety pin or brooch to attach to themselves. If someone says 'twin,' the first person to point it out gets to steal their pin! Whoever ends up with the most pins by the end of the day wins the prize! If you can't decide what to name your new babies, then who better to ask but everyone closest to you? Grab a bunch of paper and get everyone to write down their name suggestions, and then why they think those names are perfect for your twins! It's possible people will give you suggestions that you've already considered, and you might learn something in the mean time! If you're in the mood for some twin trivia baby shower games, this is a perfect choice, as well as being thought provoking! All you have to do is spend a few minutes looking up some facts about twins, then make a simple quiz! If you're struggling for facts, look for famous twins, celebrities with twin children, television shows and films, etc. This is another game that's great at getting people talking, and with a little bit of planning can be a great example of smart, free baby shower games too. So if you know there's going to be a few people at your shower that might feel a little uncomfortable at first, this is one we recommend to get everyone mingling. Grab a load of items that come in twos. It can be anything, but I think the easiest way to play this game is with a load of baby socks and gloves of all different colors. Give everyone a few when they come in, and it's their job to match up theirs with the pairs. The first person who can name everyone who has a match with themselves, wins! Want to get in touch with other parents of twins? Join our TwinStuff community and get direct answers from other parents. No matter what theme you pick or games you play, as long as you put a little bit of thought and planning into your shower, it's easy to have the perfect day, full of joy and laughter, so try not to worry too much about it. Nothing ruins a good day more than fretting for no reason! Have you gone to a baby shower recently? What was the best thing that happened, or did they do something special that make a real impression on you? We'd love to hear about your baby shower games for twins, no matter what they are, so please share them in our comments below!